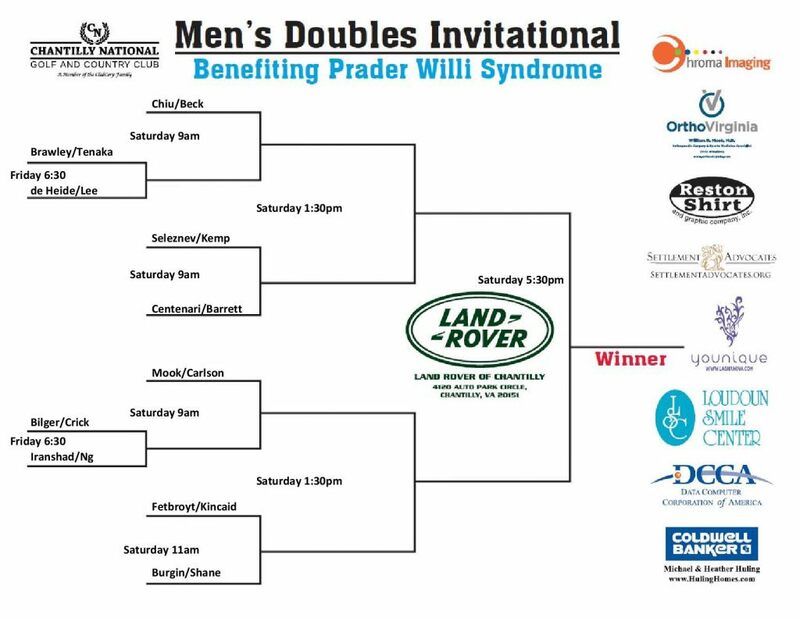 Over the weekend, I had the honor of playing in a doubles invitational tournament to benefit the Foundation for Prader-Willi Research (FPWR). 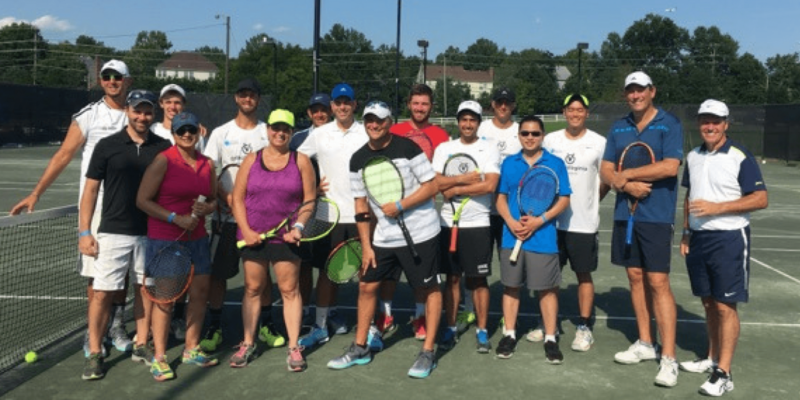 The invitational was held at Chantilly National Country Club and had a star-studded field, including former top collegiate players and ranked ATP-tour players. More importantly though, the event’s purpose was deeper than lifting a trophy or collecting prize money: it was held to raise money for those in need of help. I had only heard of Prader-Willi syndrome a couple times, but didn’t know much about the condition. Prader-Willi syndrome is a genetic disorder that occurs in about one out of every 15,000 births. It is recognized as the most common genetic cause of life-threatening childhood obesity. Those born with the syndrome generally have small hands and feet, abnormal growth and body composition (small stature, very low lean body mass, and early-onset childhood obesity), weak muscles at birth, insatiable hunger, extreme obesity and intellectual disability. 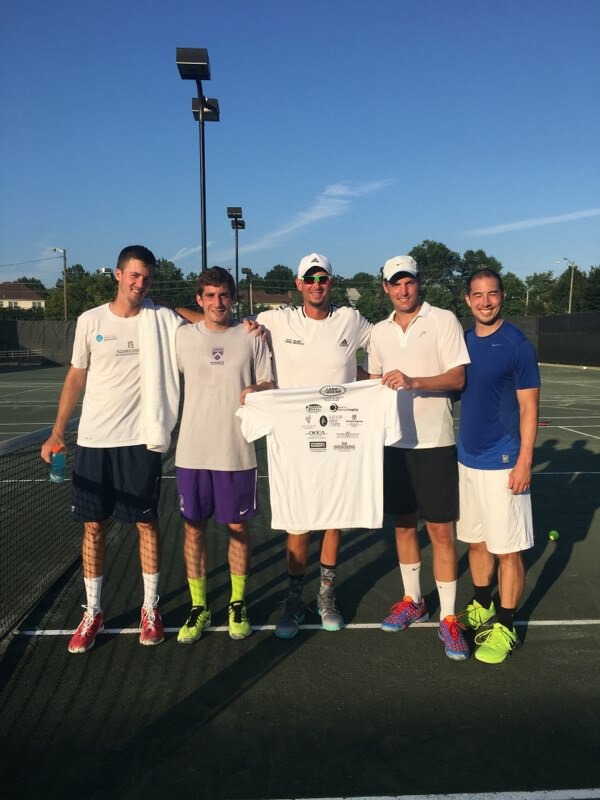 The tournament was hosted by my friend and former assistant coach at UMBC, Matt Bilger, who I interviewed on Episode 43 of The Tennis Files Podcast. 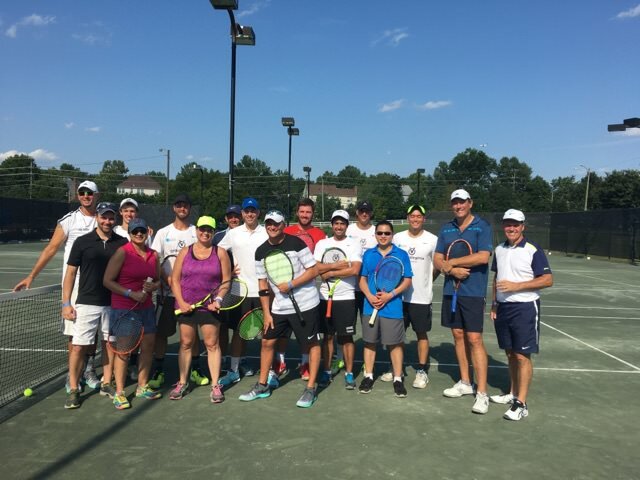 Matt is the Director of Tennis at Chantilly National Country Club. There were 10 solid teams in the draw, and prize money to play for as well: $200 for the quarterfinals, $600 for the semis, $900 for the finalists, and $1.5k for the champions. My friend Victor, who I played college tennis with at UMBC back in the day, teamed up with me for the event. 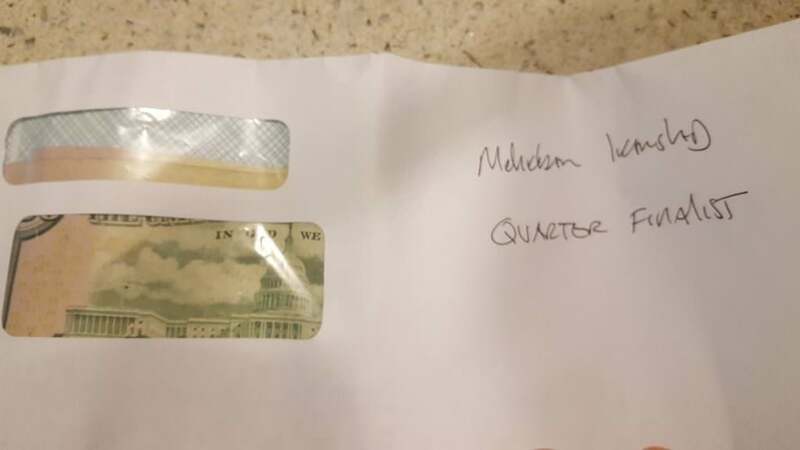 We had to play a match on Friday evening to determine who would reach the quarterfinals and secure a couple Benjamin Franklins ($200). Funny enough, Victor and I drew Matt and his friend Nathan Crick, who won 86 singles matches and 103 doubles match while playing under former UVA coach Brian Boland at Indiana State University. 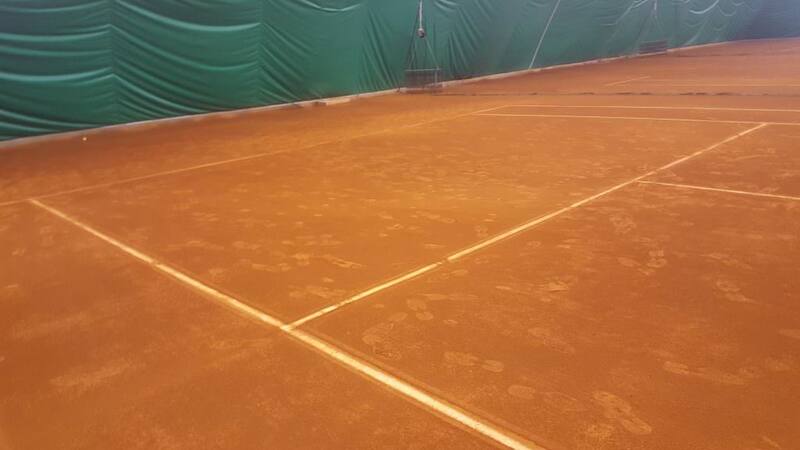 We played the match at Country Club of Fairfax, on indoor red clay, which I had never played (and never expected to play on) in my life. Matt and Nathan took it to us in the first set, winning it 6-1. They were playing aggressively, and we couldn’t get much of a rhythm going. Fortunately, in the second set we made a couple adjustments (staying two back when Victor was returning), I started hitting my forehand much more aggressively and deeper, and Victor was a stud at the net. We won the second set 6-1. The third was a seesaw battle and we were fortunate to win a couple more points in the end, winning the third 7-5. Nobuyoshi Tanaka, who used to play at the same club Victor and I did many years back, and his partner Austin Brawley defeated Erik-Jan de Heide and Eu Han Lee. We finished around 9pm on Friday and headed back home (after a quick stop at a random Beer Garden (Biertgarden?) in Fairfax of course!). The quarterfinals began at 9am with some fantastic matchups. Chris Chiu, a former player at the University of Maryland and top junior in the area, teamed up with former Virginia Tech Hokie Will Beck (#55 D1 doubles ranking) to defeat Tanaka/Lee in straight sets. Alex Seleznev, another top ranked collegiate doubles player who played for Old Dominion, got the best of Kenyon College player Henry Barrett and current ATP pro Xander Centenari. Centenari’s career high rankings are 1200 in singles and 535 in doubles. On the bottom-half of the draw, Paul Burgin, another Kenyon College standout, and former UVA Ace Justin Shane defeated Boris Fetbroyt and Brendan Kincaid 6-4 6-4. Burgin played #1 at Kenyon, was a 2-time All-American, and reached #4 in singles and #19 in doubles in the DIII collegiate rankings. Shane was ranked as high as #37 nationally in singles and #9 in doubles in college, and achieved ATP rankings of #806 in singles and #577 in doubles. Fetbroyt played D1 tennis at the University of Maryland and was ranked top 10 nationally as a junior in the 18s division. We actually played a match against each other at a national tournament in New York as 14 year-olds. Kincaid is the head tennis coach at Goucher College, was awarded the ITA National Assistant Coach of the Year after the 2009-2010 season, and is a very impressive player as well. Victor and I had a tough match on our hands. Our opponents were Andrew Carlson and John Mook. Carlson played college tennis at Ohio State before playing on the ATP Tour. Carlson reached career highs of 833 in singles and 475 in doubles. 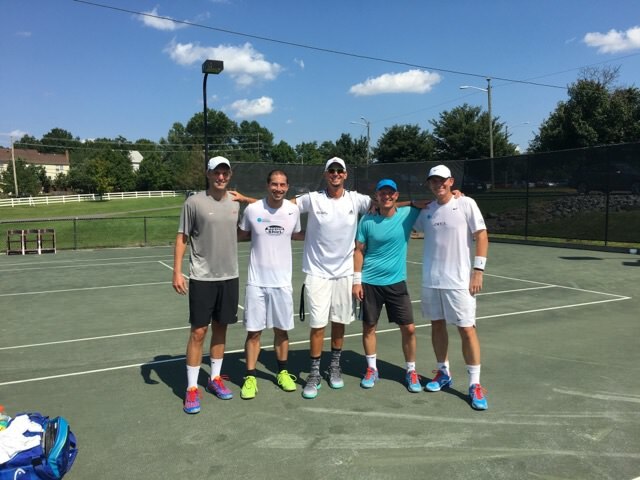 He qualified for the Citi Open (formerly Legg Mason Tennis Classic) several times, and once lost a close 6-4 6-4 match against Andy Roddick and Brian Vahaly with his partner Chris Groer. Mook is one of the best players that Christopher Newport University has ever had and was inducted into its hall of fame in 2015. 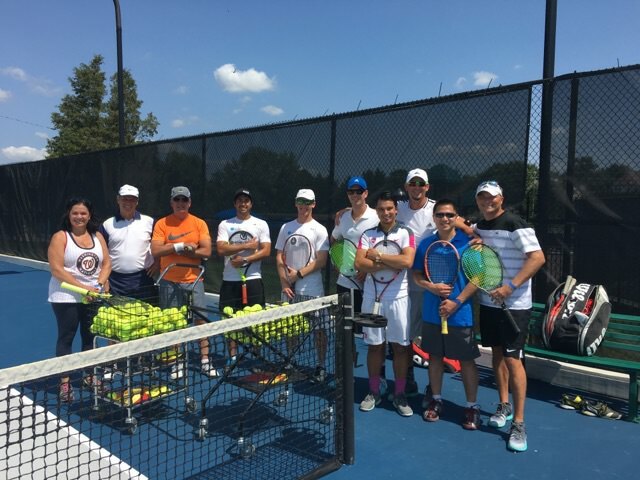 I had played against both Mook and Carlson numerous times in USTA 5.0 leagues, and knew Victor and I needed to play extremely well to have a chance. Unfortunately for us, that didn’t happen. Carlson was blasting serves at 120+ as usual, and Mook played very solid doubles. We did have a 15-40 break chance on Carlson in the first set, and on Mook in the second set, but they came up with some great plays to block out our efforts. We lost 6-2 6-1, but really enjoyed the high-level of play and the great atmosphere. After the match, all the participants gathered to snack on a continental breakfast-style spread and relax a bit. Then Matt and Alex Lerner, a friendly teaching pro, held a clinic for the event attendees. The tournament players, including yours truly, had a lot of fun on court and played a bunch of games with the attendees. The clinic participants had game! We headed back to the covered seating area (I know there’s a term for this but can’t remember it!) after the clinic and had some lunch and drinks. After lunch, we watched some fantastic semifinal action. Chiu/Beck won a tight 6-2 7-6 battle against Seleznev/Kemp, who caught fire in the second set and came up just short. Burgin/Shane notched a tough 6-4 6-3 victory against Mook/Carlson. Once the semis ended, most of the pros and the crowd participated in the Pro-Am. A pro-am is short for pro-amateur, where a pro will team up with an amateur and play several rounds of matches. My partner was Felix, who used to be a professional badminton player, and supplied the fantastic signs for the event. We had a lot of fun, and I enjoyed giving him a few tips. He improved his play as the pro-am went on, which was really cool to see. Interesting enough I learned from Felix that the majority of badminton shots are like volleys, which is why he wasn’t use to following through on his shots. We agreed that him rushing the net would be a good strategy given his badminton pedigree. The pro-am was a blast, and afterwards everyone ate dinner and had a drink or three (you know who you are 🙂 ). 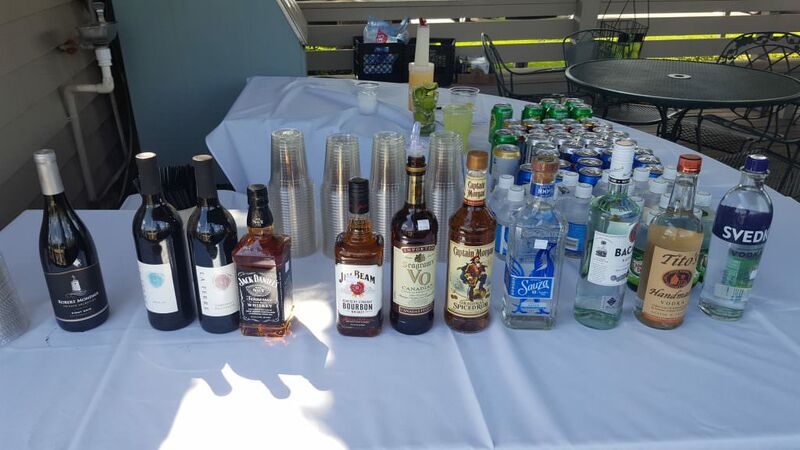 Did I mention they had alcohol? Around 5:30pm, Matt and Jason Waldrop, an FPWR representative, spoke about the Foundation for Prader-Willi Research and that they raise between 3-5 million dollars a year to help those with the syndrome, which is an incredible effort. Chiu/Beck proved their placement as the first line in the draw to be the right one, as they won against Burgin/Shane in the final. The event was just about everything anyone could ask for. High-level tennis with great people, all-you-can eat food and drinks (my dream scenario), all for a great cause. Thanks to Matt and FPWR for putting on the event, the Mook family for all their contributions, the awesome shirts from Reston Shirt and Graphics Company, all the sponsors, the club members from Chantilly National, the players, and the crowd that came out to watch. I’m definitely looking forward to next year, and highly encourage you to donate to FPWR to help them combat Prader-Willi syndrome.